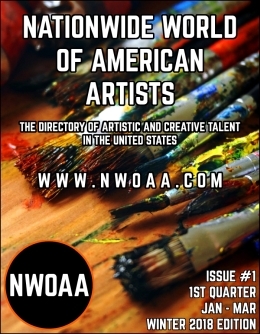 Welcome to our first newsletter here at the Nationwide World Of American Artists Directory. It is Friday, September 1st, 2017, and although we’ve already made the announcement previously on our blog that we are open for adding listings to our directory, we are counting today as our “OFFICIAL GRAND OPENING”. Why? Because today is our founders birthday. Happy Birthday David Thrift. 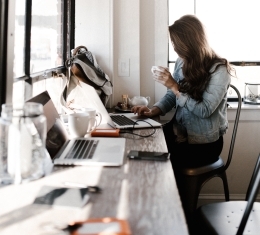 Our purpose for this directory is to become the #1 place on the internet for American artists, and photographers to get discovered, and connect with new fans, and buyers of their work. We intend to build a directory of creative people from all 50 states in the United States. Our directory will be categorized by state to make it simple for viewers to check within their state, or across the nation for new talent to follow, and buy artwork from. Artists And Photographers Get Listed With Us Today. To get our services started, we have a very low one time directory listing fee of only $30.00, and this includes a directory listing with up to three images to promote your work, unlimited bio text, placement on our homepage “new members” rotation, periodic mentions in our newsletters, and mentions of your work tweeted out to our twitter page @nwoaart. A lot of work will be put into promoting your work for such a small fee. If you are interested in getting your art or photography promoted with us, please visit our listings page for more details. Now is the time to get your listing in our directory as we’re starting out so that you can take advantage of the low fee we’re currently offering. Remember it is only a one time fee. We Want To Be More Than Just A Directory. As time goes on, we will be building our website up with free content for our viewers as well as to inspire artistic creativity. Please read on to find out some of the ideas we’re working on to make our website valuable to our viewers. Free Color Cards And Color Pallets – For artists, we recently started producing free “color cards” and posting them on our blog in our Color Of The Day series. Think of them as paint color sample cards you find at your favorite paint store, only these can be used for sampling directly with your art software (photoshop, etc. ), or try to match the colors with your real paint if you are working on a real painting. In time we’ll also start creating and posting some color pallets. We have an idea for those that we think will be fun. We will name each color pallet after a different city in the U.S., and when we post them, we will also post a link (most likely to an article about that city on wikipedia). Essentially we would be promoting artistic creativity as well as prompting viewers to learn about the history of different parts of our great nation, the United States. You can see a sample of the color cards we’re producing below. This was the very first one we posted. Feel free to save it, and all the future color cards and pallets we post for your personal use. All we ask is that you don’t crop and redistribute these images. Instead, tell your friends where they can get them (post a link to our site). Podcasts – We were excited to learn that WordPress and RadioPublic have partnered together to make it so that bloggers can add podcast players into blog posts on thier websites. So we have begun searching through RadioPublic’s podcast directory to find some podcasts we think our viewers may be interested in listening to. You can go over to our podcasts section on our blog to see which podcasts we’ve listed so far. We will be adding more as time goes on. What’s neat about these players is that they will always play the latest episode. If you then decide to listen to more, we provide a link to that podcasts page and you can then choose which of their older episodes you want to listen to. We Admit it, We Hoard Art – Abstract art is our favorite, and we love instagram. Put the two together and we go nuts eyeballing all of the great abstract paintings and art that artists are posting there. We love finding the best ones and presenting them to our readers through the Art Raids section of our blog. Each time we go on an art raid, we find 10 of the latest, and best artworks to show. The images however are not stored on our website. They are simply embedded on our pages through the power of wordpress and instagram’s share url links. Also the artists who are lucky enough to get featured are getting free promotion since they are not paid members of our directory. We do not proactively or routinely promote them through other blog posts or newsletters as we would our paid members. For our readers it’s a bonus way to discover great art and artists, and for us, we love just being able to to go view our own pages to see all the great work folks have done and that we admire. 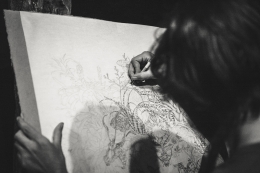 DIY Projects – What better way to promote artistic creativity than by showing someone how to create something? Through our DIY section on our blog, we will periodically post tutorials for how to make various things we think will be interesting and fun for our viewers. Unsplashed Free Stock Photography Creators Tributes – We think the service that UnSplash provides is super cool. They allow photographers to post some of their photography work as high-resolution images that are literally free for the taking by anyone to be used for just about any reason whatsoever (we create our blog template headers from photos we download from there). This is a HUGE deal since the photos are highly professional images, all up for grabs with no expense to those using them. Because of this, we plan to start honoring some of our favorite photographers at UnSplash with free promotion in our blog posts. We plan to start doing this as extra content to our color of the day posts starting around the middle of this month. Well that’s it for this newsletter. We hope that you will follow our blog, and follow us on twitter @nwoaart to keep up with our content, and new art talent as we list and promote it. Don’t forget this is the last month of summer in 2017, so make the best of it while you still can. Posted on September 1, 2017 September 7, 2017 by David ThriftPosted in NewslettersTagged Art, DIY, Instagram, News, Newsletter, RadioPublic Podcasts, Twitter, Unsplashed.